Just like you wouldn’t head over to the grocery store for advice on which eyeglasses you should be using, when you need a professional pet service you should head over to the professional pet sitter. 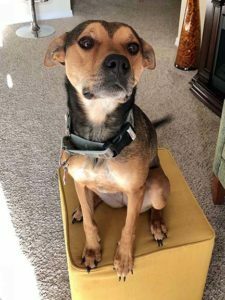 Want to know why Fido is afraid of their water bowl, or how best to get your pet cat to stop attacking the sofa? A professional pet care provider will have prior experience that can guide you to the best solution, a hobby sitter may need to visit Google. As you develop a relationship with a single sitter, their relationship also grows with your pets, meaning that they learn how to best care for your pet through practice and don’t have to spend time gaining their trust. A professional is someone who engages in an activity as the main occupation instead of as a pastime. Which would you rather welcome into your home when aren’t there: a pet care provider who has dedicated their life to providing a service, or a casual individual looking for a little extra money? At All Critters Petcare Services, owner and pet care provider Joey Buchan has spent several years working in the pet care industry, is certified in pet first aid and CPR, and is also enrolled in continuing education classes which cover pet health and behavioral lessons. 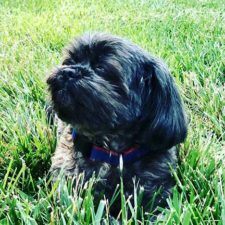 He is also a Certified Pet Sitter, which means he has been trained in the clinical standardsof healthy pet care and behavior, ensuring your furry friend has someone dedicated to their welfare. Clients of All Critters Petcare Services will also be reassured with our professional business standards. All pet sitters and walkers are fully insured and bonded, which brings an extra security blanket when trusting our services. As an insured company, All Critters (and you) are covered in case the worst happens, such as an illness or accident involving your pet when they are in our care. No matter what happens, your pet and home will be taken care of. We also bond our employees, which means we stand behind their integrity while they work with your loved ones and your home. 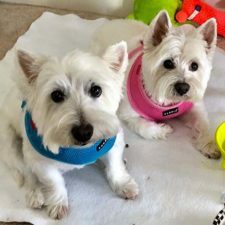 Additionally, All Critters Petcare is entirely local, from Joey, the owner, to his pet sitters, and to where the company spends its money for supplies. This ensures that you are supporting your Raleigh community, not a corporation running an online service. When you are looking for a service to care for your favorite family member, you aren’t looking for casual care, so don’t hire a casual sitter. Hire someone who you can trust to know what they are doing, no matter which pet they are caring for. Hire a professional pet care provider. A dog who needs a mid-day walk won’t need the same amount of time as a cat who just needs fifteen minutes per visit. Why should you pay the same amount of money? With All Critters Pet Care, you can choose the amount of time your pet requires and pay for exactly what you need, which means you don’t wind up paying for a forty-five-minute visit which only needs twenty. All Critters Petcare Services also does not charge a travel fee, which means a cat fed in Brier Creek pays the same amount as one fed in Cameron Village. All Critters also realizes that not all pets will need the same services. That is why there are meetings tailored to providing exercise for elderly pets who just need a quick checkup (our fifteen-minute dog visit) or for an energy burning exercise session for younger puppies (otherwise known as our sixty-minute dog walk). 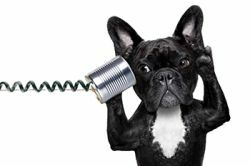 All services and needs are discussed in the complimentary new pet consultation, where needs are assessed and services are recommended on a case by case basis. Not all pet appointments are about the pet. All Critters Petcare Services goes beyond professional pet care to also provide fringe benefits such as home security, plant care, mail pickup, and pet medication management. When you are away for long periods of time, your house can start to look tempting to home burglars, especially once the mail starts to pile up and the lights are never turned on. All Critters takes steps on both our overnight pet visits as well as the No Pet Visits (and as requested on other service calls) to check plants, turn on and off lights so a lived-in appearance is maintained, and your home safety is maintained with a constant presence. What happens if you are away and a water pipe bursts or a window gets broken? All Critters will have your emergency contact numbers so that someone can be notified promptly, without you having to interrupt your vacation. This is also an excellent service for elderly clients who may need looking in on as well as help with pet care. Many pet owners have previously used boarding facilities, which offer a drop-off and forget appeal. Unfortunately, boarding facilities often bring with them plenty of hazards on their own. While these facilities often have policies including vaccination standards, your pup is still more likely to pick up an infection or illness at a boarding facility than at home, especially if the vaccination standards are relaxed. Your dog, whether a puppy or grey-muzzled senior, may also experience greater stress within the loud and crowded confines of their kennel than at home. Finally, boarding facilities often only accept dogs, which leaves out animal lovers who have cats, birds, insects or fish who still need care. 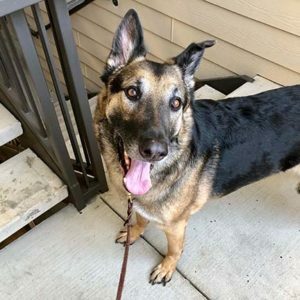 Not only do professional pet care providers and in-home pet sitters offer all the benefits of home security, but they also provide comprehensive care for your pet in their comfort zone. Cats typically bond very closely with their human family members, but often do not appreciate strangers visiting their home, even with the best intentions. Our pet sitters work to enter the home in a minimally invasive manner, clean the litter box and provide food and fresh water. We only interact when your pets are comfortable and welcome our presence. Dogs, especially those who are skittish or fearful, will be more comfortable without twenty co-boarders barking all night. Pets are cared for in their homes so they can visit their favorite spots every day. Pet birds, fish and exotics are also given knowledgeable care as they would not in a boarding facility. 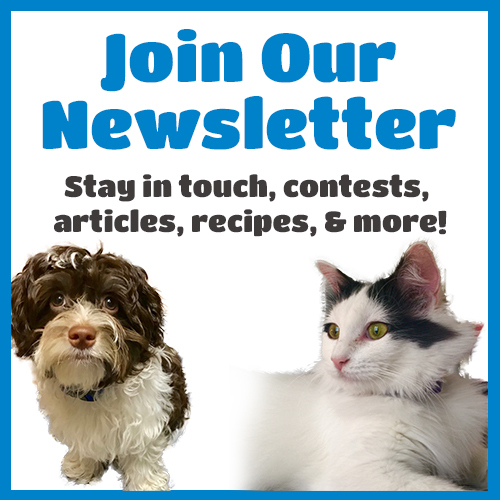 If you would like to set up a free consultation for professional pet care with All Critters Petcare Services, please feel free to contact usto see how we can care for your non-human family members.